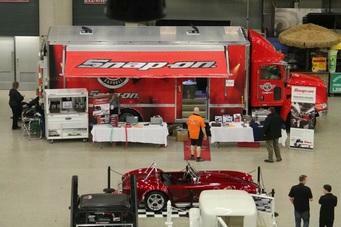 If you’re crazy about cars, the Buffalo Niagara Convention Center is the place to be through Saturday. People of all ages from across the region are flocking to the 2016 Buffalo Motorama. 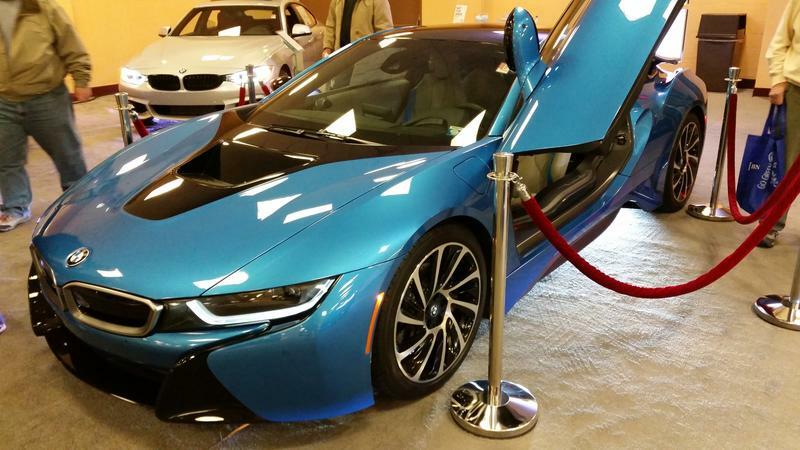 One of Bernie’s friends, Mike Aldenburg, found some of his favorite cars. “I like the old hot rods in the basement, just the old ‘30 Fords,” he told WBFO. For fans of futuristic features, there are also new vehicles on display that are equipped with the latest high-tech gizmos. And if you’re into famous prop cars, you’ll find a 1960s Batmobile, the Flintstones car, the General Lee from “The Dukes of Hazard,” and the DeLorean from B”ack to the Future.” Show promoter Joe Haniszewski says the lineup of vehicles aims to cater to every taste. Among the children in the crowd was Jude Comlin, who explained that he was there to see “awesome classic cars.” His favorites were the polished and glossy vehicles. The DeLorean looked very high-tech in his eyes. Other attendees, including Michelle Witkop and David Charsley said the event gives people something to do besides the traditional Easter festivities. The Motorama runs through 8 p.m. Saturday. You may notice that “new car smell” if you’re driving through downtown Buffalo this weekend. The 2016 Buffalo Auto Show is now underway at the Buffalo Niagara Convention Center, where more than 250 new vehicles are on display through Sunday. From now through Sunday, thousands of visitors are expected to check out various makes and models at the Buffalo Auto Show, hosted inside the Buffalo Niagara Convention Center. It was several thousand square feet filled with dozens of cars on the upper level of the Buffalo Niagara Convention Center, with dozens more vehicles awaiting visitors downstairs. Organizers say this massive undertaking begins in August, when they first plan how to distribute the space to the numerous automakers.